Shopping for Avengers Vinyl Figures? The Vision has long been a favorite Avenger of Marvel Comics readers, and one of his most popular abilities enables him to become intangible. 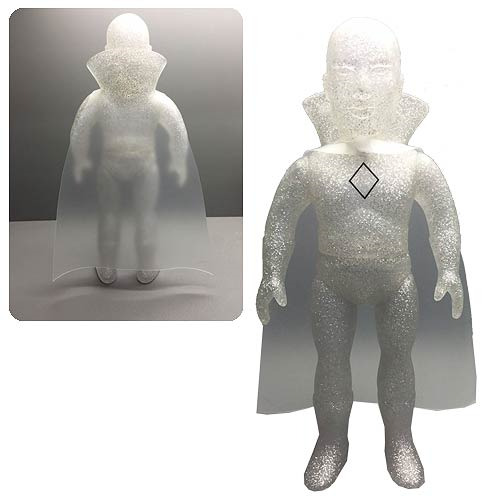 Now, fans can enjoy a simulation of The Vision's intangible state with this sparkling, translucent sofubi, which measures 10-inch tall. This SDCC 2015 edition is a limited edition of only 300 pieces.